Recently, I read an excellent – and somewhat saddening – post on the Rude Girl Magazine blog entitled A Search for Black Fandom. I am constantly reminded of just how important the work I and the other members of our authors, filmmakers and artists collective – State of Black Science Fiction – do really is. We tell the stories that need to be told – stories of heroes that have been ignored; history that has been forgotten…or denied. Steamfunk, Sword and Soul and Rococoa are subgenres of fiction, fashion and film that convey the heroes and history of Africa, African-America and, indeed, the entire Diaspora. There are also many great tales of science fiction, horror, action-adventure and the paranormal with heroes of African descent. 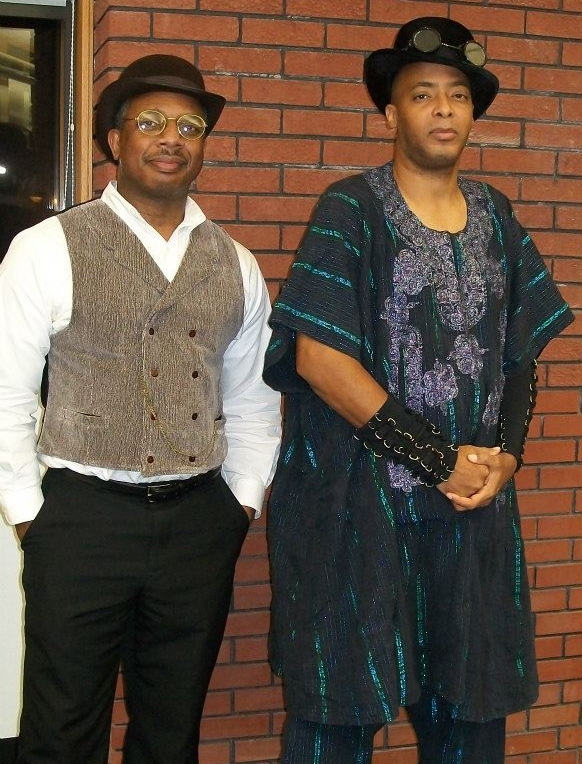 I have been a guest and panelist at several small and major fandom conventions and I – along with my friend and author Milton Davis – am the curator of the popular Black Science Fiction Film Festival and The Mahogany Masquerade and I am happy to say that there is a multitude of Black fans of speculative fiction and film and the numbers are growing rapidly and immensely. Statements like that tell me that there is a lot more work to do and that there are a lot more people to reach. I want my sister at Rude Girl Magazine to know that she need lament no longer and that she is certainly not alone. We’re here my dear sister. Below is a list of great recent fandom events with a strong Black presence. Most are annual events, so put them on your calendar and be sure to attend. Posted by Balogun on June 11, 2013 in Adventure, Afrofuturism, atlanta, Dark Fantasy, Dieselpunk, Fantasy, Film, Panel Discussion, Science Fiction, Speculative Fiction, Steampunk, Street Lit, Supernatural, Thriller, Urban Fiction, Writers Workshop and tagged black speculative fiction, steamfunk, steampunk, sword and soul. I will definitely consider coming next year, J.L.! I planned to enjoy the Con circuit this year, however, filming Rite of Passage has precluded those plans until next year. I look forward to a face-to-face meeting with you! Fortunately I grew up in a neighborhood where even the cool folks read comic books. Science fiction was a little deep but I didn’t take that route until college. Also fortunate for the current generation of sci fi/fantasy fans of color a network exists where they can enjoy their fandom and not have to deal with the ‘incidental’ racism and racial insensitivity that always seems to pop up at mainstream conventions. It’s a respite that’s still needed for now. I grew up in a rough neighborhood with a strong gang presence, however, the gang members all encouraged me to read comic books and science fiction and even suggested I write comic books and stories with Black heroes. I even taught a few what Dungeons & Dragons was about. Networks like State of Black Science Fiction are, indeed, invaluable safe havens, think tanks and informational / educational resources for Black fandom. There’s an ongoing conversation about comics, black sci fi, steamfunk, sword and soul and other black nerdist concerns on the forum page of my website: http://www.hudlinentertainment.com I welcome all. http://www.hudlinentertainment.com is, indeed, one of the best sources for black fandom and for meeting many others with similar interests. I love the site! Thanks, so much, for the invitation, Reginald! I really enjoy http://cosplayingwhileblack.tumblr.com/. It’s one of my daily sites to check. I’m not a cosplayer and I’m not black, but I check that site because I love the art and the craft of fans making their costumes of things I enjoy too. Plus, for all the “mirror universes” in sci-fi media, yes, there would be a variety of different Wonder Women: white, black, Asian, alien, thin, fat…you name it. Fandom shouldn’t be limited to the color of the fan’s skin. Another favorite site of mine! Cosplayingwhileblack has beautiful photos of Black fandom! Thanks for your feedback, Amy Lynn! Excellent article Brother Balogun! 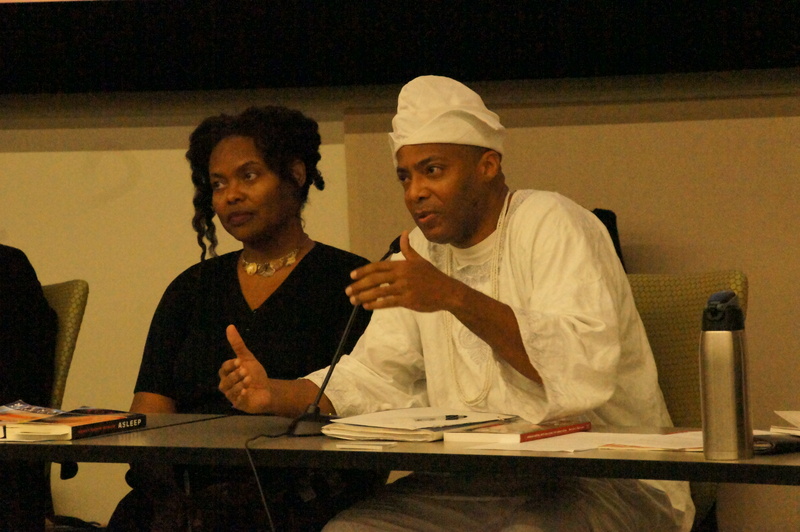 I’d just like to add that although the Alabama Phoenix Festival wasn’t an AA event I felt like I was bringing folks something that a lot of them hadn’t seen before– or not enough of it: a Black SF/fantasy author. Everytime we touch someone, everytime we acquire yet another reader we are dispelling the myth that “Black folks don’t read our stuff.” We are making our presence known! You’re welcome Brother Balogun 🙂 BTW: I totally agree! Hey- I’d love to see you at WisCon! http://Wiscon.info. Guests of honor next year are Nora Jemisin and Hiromi Goto. I cannot offer any guest status or anything like that. But if money is an issue, con or bust offers assistance to fans of color, and there’s a Wiscon member assistance fund, details on the website. And speaking with my official hat on, I’m the head of programming this year, and if you wanted to be on panels, that’d be awesome! I would LOVE to be on panels and I will apply for guest status. If that doesn’t pan out, I will still make plans to attend. Thanks! Technology has really been instrumental in connecting me with other black geeks and black fans of various fandoms. My Tumblr is not so much a blog as it is a feed of carefully curated images, criticism, characters and stories that would never make it into the mainstream. I’m able to discuss and analyze my fandoms (the good, the bad, the sexist and racist) in a way I could only dream about just ten years ago. Likewise, Twitter has been equally helpful in realizing that I am not alone. There is a growing number of podcasts and weekly chats popping up that gave me an immediate sense of belonging that I’m grateful for. I agree with what you said about there being more people to reach. I’ve decided that at some point this year I’m going to launch a new blog or two and try to become one of those people reaching out. 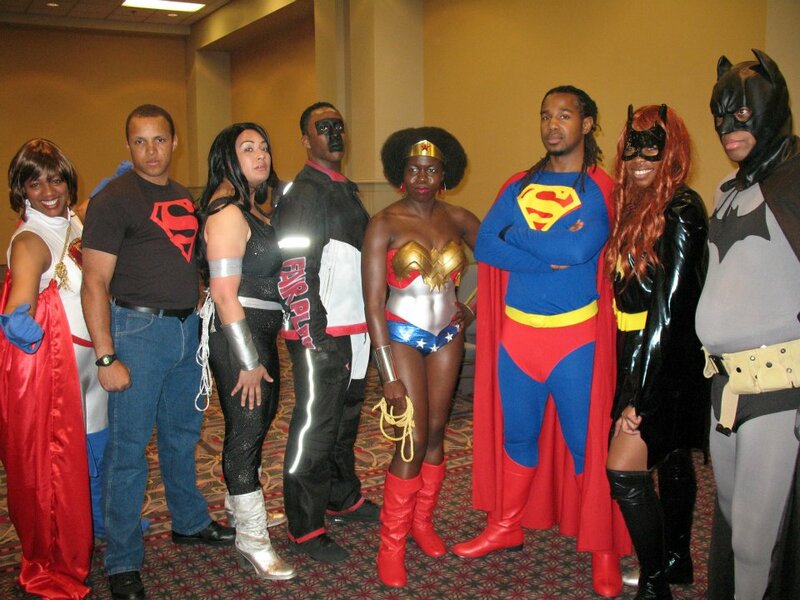 The internet has, indeed, been a great tool for connecting Black people involved in various aspects of geek culture. Awesome! As a woman, I’ve often felt alone while perusing the science fiction shelves at the library and bookstore. And lets not even talk about the comic books stores, even in the 80s and 90s. Back in the day, it seemed like female fans were few and far between. Women and People of Color have long been marginalized in speculative fiction. Thanks to your efforts with Alien Star Books and the efforts of authors, artists and filmmakers who are creating – and taking control of – their own works, that is changing.Thanks, for your feedback, Ruth! I just want to add that at this year’s ConnectiCon, I saw a LOT of people of color that I hadn’t seen in years prior. It was pretty cool. 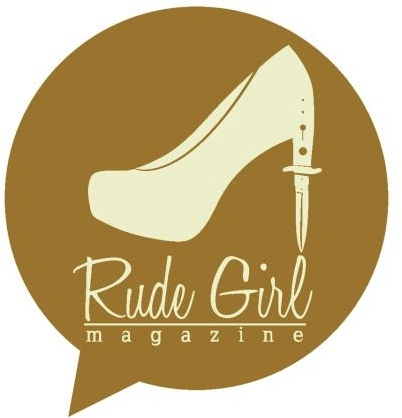 Hi, I’m the one who wrote the Rude Girl Mag article that you’re talking about (RGM is now defunct, I believe, but I still blog about black girl nerd life at thugnerdlife.wordpress.com). It’s crazy, because I didn’t see this wonderful post until right now, over a year later! I am so, so glad that I stumbled across a link to this post on another article about black fandom. I knew about steamfunk but not sword and soul and rococoa. I’m so excited to look into the resources and events you listed here. Hi, I’m the one who wrote the article you’re referring to (RGM is now defunct, I believe, but I still blog about black girl nerd life at thugnerdlife.wordpress.com). It’s crazy that I didn’t come across this until over a year later! And I’m so glad I did. I knew of steamfunk but not sword and soul, which sounds like a dream come true for me. Thank you so much for writing this and sharing these resources. I can’t wait to check them out. Thanks, so much, for being the inspiration for the article!